1. Gastroenterology 2014; 147: 1327-37 (editorial 1216-18). “Probiotic VSL#3 reduces liver disease severity and hospitalization in patients with cirrhosis: a randomized, controlled trial.” 66 patients received VSL#3 (9 x 10 to the 11th bacteria), 64 patients received placebo -both groups studied for 6 months. Treatment with lactulose and rifaximin were withdrawn a week prior to study entry. Key findings: ‘fewer hospitalizations for severe encephalopathy, better quality of life, and decreases in Child-Turcotte-Pugh class and Model for End-Stage Liver Disease.’ Hazard ratio for preventing hospitalization with VSL#3 was 0.52. However, the findings did not show that VSL#3 reached a statistically-significant reduction in recurrence rate for hepatic encephalopathy. No adverse events were noted. 2. NY Times: Gilead sued over cost of Sovaldi. 4. “Transplantation Traffic –Geography as Destiny for Transplant Candidates” NEJM 2014; 271: 2450-52. Describes ongoing geographic inequality in organ distribution and obstacles to improving allocation. 5. Liver Transpl 2015; 21: 57-62. Immediate Extubation After Pediatric Liver Transplantation –feasible in 67% according to this retrospective review. 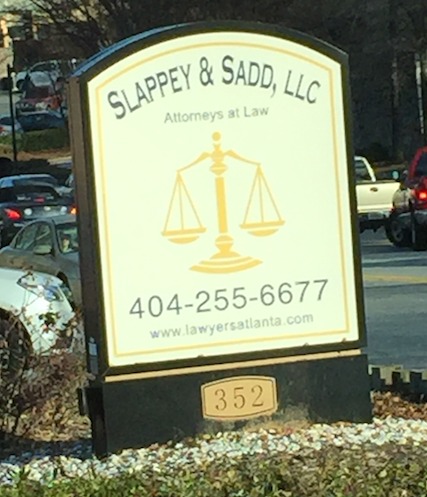 Local Law Office –Truth in Advertising? Does Sun Exposure Lower the Risk of Crohn Disease? An intriguing recent study suggests that individuals who spend more time outside are less likely to develop Crohn disease (CD) (Inflamm Bowel Dis 2014; 20: 75-81). In this prospective cohort study from France, 123 cases of inflammatory bowel disease (45 CD, 71 ulcerative colitis, and 7 indeterminant colitis) developed among the 91,870 women in the study. The study period had a mean followup of 13.1 years and followed women between 40 and 65 years. The authors estimated residential sun exposure by utilizing a database (derived from satellite collection) containing the mean daily ultraviolet radiation dose for each French county. Higher levels of sun exposure were associated with a decreased risk of Crohn disease with a Hazard Ratio (HR) of 0.49. Sun exposure did not affect the likelihood of developing UC (HR 1.21). In women with information about dietary vitamin D intake, higher sun exposure had a HR of 0.29 for developing CD. That being said, the authors note a low dietary vitamin D intake in their population. Despite the large cohort, this study has a number of limitations. The absolute number of IBD patients can lead to a Type 1 error (false-positive conclusion). In addition, the age of the study population and the lack of data regarding individual sun exposure limit the conclusions as well. Besides these factors, there may be confounders such as changes in diet and soil exposure which are not accounted for. At the same time, there have been other studies which have shown a latitude effect. As with this study, those living in sunny areas had a lower incidence of CD. Bottomline: This study suggests that additional sun exposure is associated with a lower risk of developing Crohn disease. Whether this lower risk is directly through better vitamin D levels or simply an epiphenomenon is unclear. Gut 2013; 62: 1122-30. A randomized phase 1 study of etrolizumab (rhuMAb β-7) in moderate to severe ulcerative colitis. Etrolizumab is an adhesion cell molecular blocker. Inflamm Bowel Dis 2014; 20: 21-35. Meta-analysis of 23 randomized controlled trials of probiotics for UC, Pouchitis, and CD. Probiotics, in particular VSL#3, increased UC remission rates and helped maintain remission in patients with pouchitis. Inflamm Bowel Dis 2014; 20: 213-27. Review article of cutaneous manifestations of inflammatory bowel disease. Good pictures of multiple problems including metastatic Crohn disease, erythema nodosum, pyoderma gangrenosum, Sweet’s syndrome, aseptic abscess syndrome, and epidermolysis bullosa acquisita. Inflamm Bowel Dis 2013; 19: 1753-63. Review on hair loss associated with inflammatory bowel disease. Remember telogen effluvium?